Sport utility vehicles (SUVs) have been a popular choice of transportation for many years. Yet, while their spacious interiors allow people to move friends, family, and belongings between locations with ease, SUVs have an increased risk of accidents. If you or a loved one have been injured in an SUV accident, contact an Orlando car accident attorney with the Law Offices of Michael B. Brehne, P.A. Regardless of model and model year, SUVs are designed with a high center of gravity, and the majority of the vehicle’s weight sits in the roof. Older SUVs lack now-standard roll bars which reinforce the roof and reduce the possibility of a full roof collapse during a rollover. Most SUV accidents are a type of rollover and result in severe injuries to the vehicle occupants. 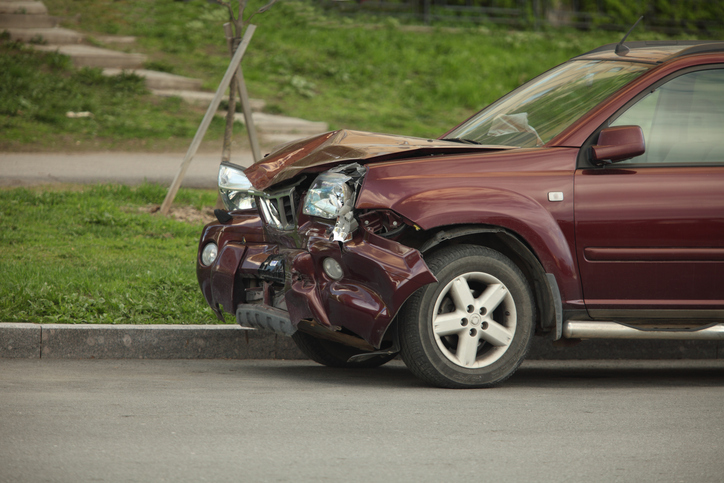 If you’ve been in an SUV accident, contact a car accident lawyer with the Law Offices of Michael B. Brehne, P.A. today. Any vehicle can begin to skid. or fishtail, when the rear wheels lose traction with the roadway but SUVs have a higher risk of rolling over when a skid occurs. Skidding is often attributed to inclement weather, such as heavy rain. These rollovers occur when drivers speed is too high to handle changes in road direction, such as sharp curves. The high center of gravity causes the vehicle to shift as the driver attempts to steer and causes the vehicle to roll over. A slope rollover generally occurs when an SUV is driven in an unpaved area with elevation changes, such as a sloping surface. The SUV may be traveling up or down the slope when a rollover accident happens. When one or more wheels of the SUV move onto a curb, ramp, or another elevated surface, the vehicle becomes unbalanced, sometimes causing a rollover. Whiplash is a common neck and spine injury suffered in SUV rollover accidents. Other neck and spine injuries may include herniated or slipped discs, caused by impact to the back, along with a bruised or broken spinal column. More often known as bruises and cuts, contusions and lacerations are caused by impact from airbags, seatbelts, and flying debris, such as glass. Because the roof of an SUV usually collapses during a rollover accident, vehicle occupants have a high risk of head and brain injuries. All-terrain vehicles (ATVs) are a popular means of enjoying the outdoors for many people of all ages. Yet, a combination of factors makes these small vehicles risky unless certain safety guidelines are followed at all times. Florida law prohibits any person younger than 16 from operating an ATV without a helmet and eye protection, but many riders of all ages forgo these safety measures. ATVs are meant for off-road terrains, such as dirt roads, but many riders are seen on paved roadways. Since the tires are designed to grip rough surfaces, most asphalt surfaces don’t provide enough traction for an ATV to be driven safely. Too many passengers is another cause of ATV accidents. Florida Statute § 316.2074 specifies the number of riders and passengers of an ATV is limited to the manufacturer’s specifications. ATVs aren’t generally equipped with seatbelts which place a driver and/or passenger at greater risk of ejection during an accident. Once ejected from the ATV, a person can suffer a wide range of injuries, including a traumatic brain injury, broken bones, and neck and spine injuries. ATVs also have a higher center of gravity which increases the chance of the vehicle rolling over when driven at a high rate of speed or in an otherwise unsafe manner. It's imperative to call 911 as soon as possible after an SUV or ATV accident. Many injuries sustained in these types of accidents can be life-threatening. Even if the accident happens on private property, which is common with ATVs, call 911 and law enforcement for assistance. The accident reports created by medical personnel and law enforcement may be useful if you decide to contact personal injury lawyers in Orlando to file a personal injury claim. If possible, gather contact information — names, addresses, and telephone numbers — of witnesses. Also, take photos of the scene, including road surface, traffic signs and signals, and all vehicles involved. The more information you can document soon after, the better. The auto accident lawyers with the Law Offices of Michael B. Brehne, P.A. understand the emotional and physical stress that come after an SUV or ATV accident. Contact our law firm to schedule a personalized consultation about your case.